A country of fairly limited wildlife potential. I visited this country of islands several times n 2018, with Silversea expeditions. The Maldive have a very 'southern Asian' mixed with Middle Eastern feel. As is typical of southern Asia, there never seems to be any women around in public areas. The country is mostly dry, with drinking of alcohol restricted to the private resorts. The terrestrial wildlife is limited in abundance and diversity. The coral reefs have seen better days. So, in summary, no women, no booze, and limited wildlife! The scenery is nice, as there are many beautiful islands and beaches. There are a few good snorkelling and SCUBA diving spots. However, this is oen of the few countries on this website that I do not particularly recommend. As most of the islands are small and low in altitude, (the Maldives is often reported to be the lowest country in the world), there is very little endemic land wildlife. 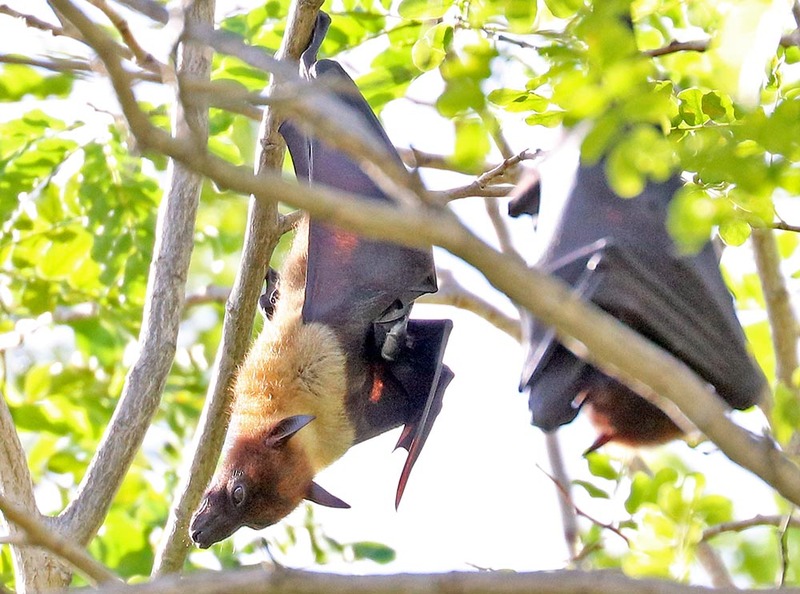 One of the few exceptions are those mammals that can fly, the bats. Underwater, the Maldives used to be considered a fantastic place for SCUBA diving and snorkeling. Unfortunately, much of the coral appears dead; this may be due to (either of both) constant monsoon winds or excessive coral bleaching. The best coral seems to be associated with the resorts, as ‘home reefs’.